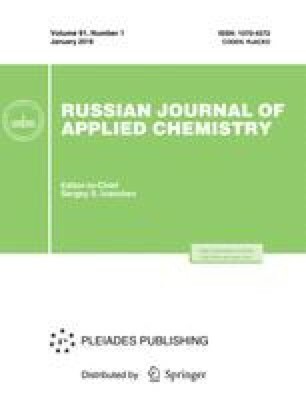 Production of ultradisperse copper powders by reduction of various copper salts with L-ascorbic acid was studied. Original Russian Text © I.I. Obraztsova, G.Yu. Simenyuk, N.K. Eremenko, 2006, published in Zhurnal Prikladnoi Khimii, 2006, Vol. 79, No. 5, pp. 717–720.